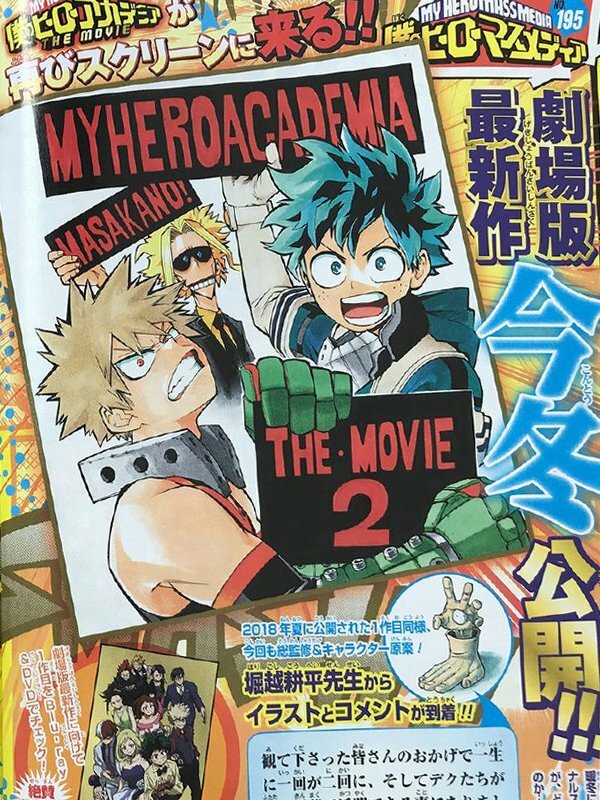 Following the success of My Hero Academia: Two Heroes, the first feature film for the smash-hit anime franchise, Deku is set to bring his trainee heroics to the big screen once more, following confirmation that a brand new anime film is in development! No other details are known at this time, other than it opening in Japan this Winter. The previous film, My Hero Academia: Two Heroes was released in Japan last August and had its UK premiere at the Scotland Loves Anime festival on 13th October 2018, before Manga Entertainment UK released it to selected cinemas nationwide from 4th December. The film is currently slated to be released on DVD , Blu-ray, and Limited Edition Blu-ray Steelbook on 8th April. The distributor has also recently confirmed plans to release the third season of Bones’ TV anime adaptation in the UK, with Season Three Part One launching on DVD, Blu-ray, and Combi Pack Collector’s Edition on 13th May 2019. This isn’t the only My Hero Academia film project in development, however. Back in October 2018, Legendary Pictures (Detective Pikachu, Godzilla) announced that they had acquired the rights to produce a live-action adaptation of Kohei Horikoshi’s manga. Source: Moetron (Google Cached, following deletion by user). Disclosure: the above Amazon links are affiliate links. If you click on it and make a purchase, Anime UK News will receive a small commission from the retailer. Click here for more information on our affiliate policy. Reviewing anime by moonlight, working in film by daylight, never running out of things to write, he is the one named Josh A. Stevens. Scotland Loves Anime Heads to Aberdeen This Weekend! After a successful run in October, the Scotland Loves Anime film festival makes a surprise trip to Aberdeen this weekend, with Penguin Highway, Cyber City Oedo 808 and more! 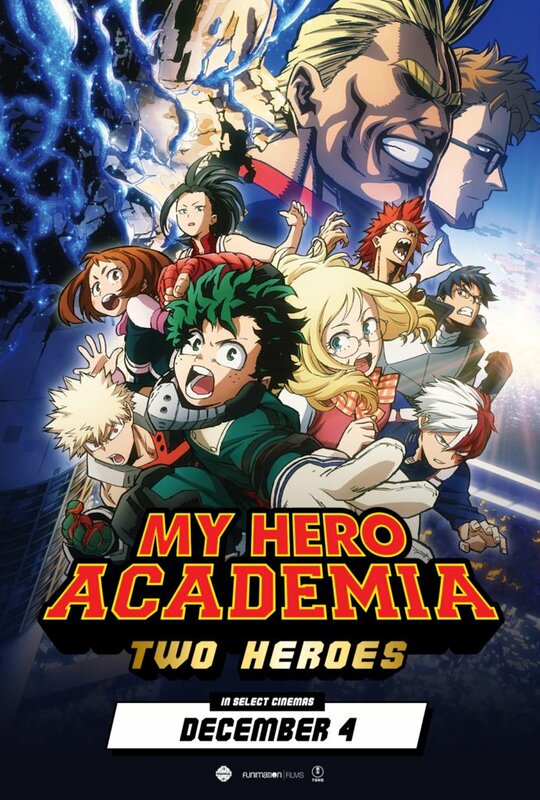 Manga Entertainment UK unveils artwork for their upcoming Blu-ray SteelBook release of the My Hero Academia: Two Heroes anime film! Manga UK are going Plus Ultra with My Hero Academia Season Three Part One in May, according to multiple retail listings! Manga UK to Re-release My Hero Academia Season 1? Has this BBFC listing revealed a My Hero Academia Season 1 re-release from Manga Entertainment UK? Get A Taste of My Hero Academia: Two Heroes With An Exclusive Clip! Ahead of its release in cinemas next week, get a taste of Manga UK’s “My Hero Academia: Two Heroes” with an exclusive clip from the hotly anticipated anime movie!